How to get border radius and other layer properties? I'm trying to write a plugin that can read a layer's properties and copy them to the clipboard in a format for pasting into Framer Studio. (Similar to 'Copy CSS Attributes'). So far I've managed to figure out how to get x, y, height, width, fill color, and border color. But I'm a complete noobie and I'm struggling with the documentation. robin, perrysmotors or TChengZ do you maybe know how to get/set the corner radius for shapes that aren't rectangles? 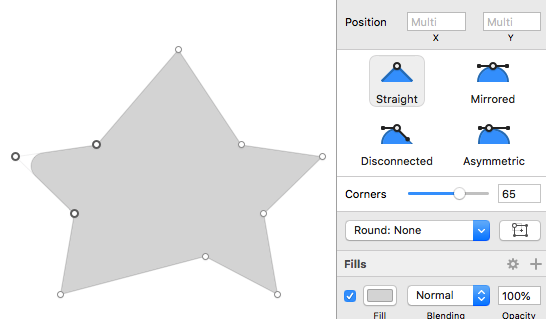 For example, how do I set a specific corner radius for a point on a star shape? TChengZ To post short snippets of code, wrap it in the ` character, e.g. This should give you radius of all the points one by one.